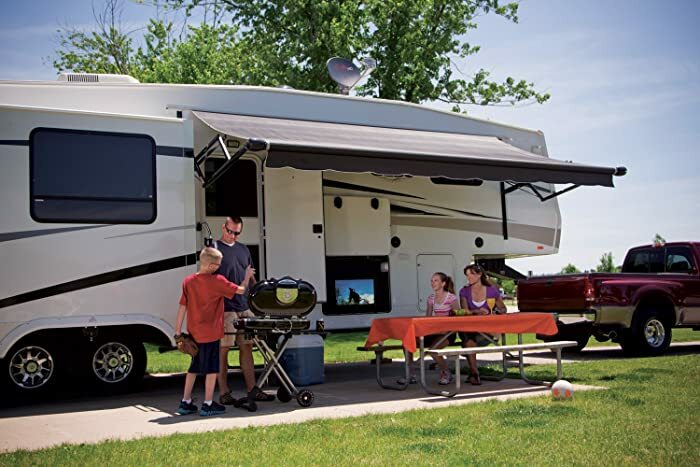 While there are people who prefer to get away and relax from their daily routine while riding their RVs, there are still those who prefer to have the comfort and conveniences they have at home. They want to have a computer, their iPad, and TVs with them. For travelers who want to watch their favorite TV shows even while on vacation, they want to get a good reception. 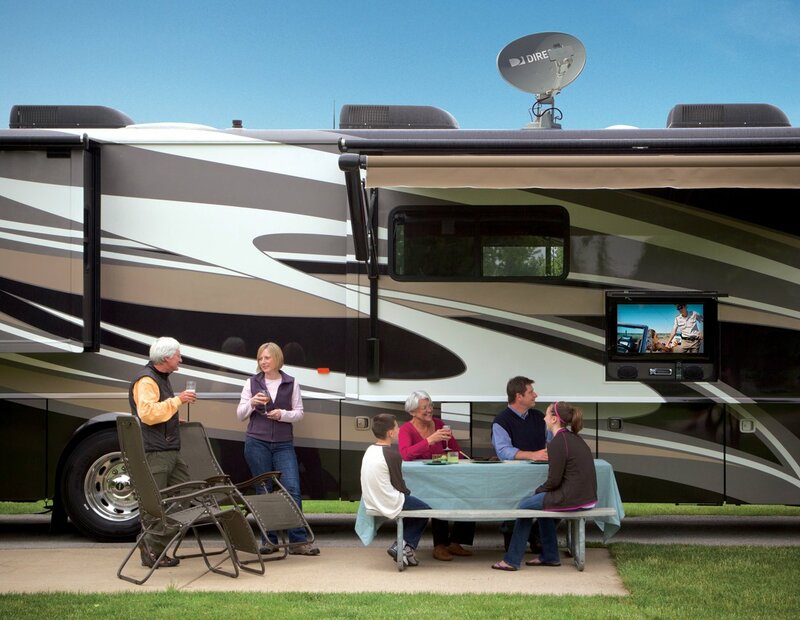 RVers can get a cable, satellite, or antenna to be able to watch their shows. A lot of RVers use several methods that depend on their capacity and travel. If you do not know how you can get free TV reception in your RV without a continuous monthly cost, you can buy a special antenna that is designed to receive signal from the local TV stations in your area. It is similar to the old “bunny ears” antenna that you normally see that are able to detect signals from a lot of broadcasting stations. This can vary, but it will depend on your location. In other cases, if the location is remote, there might not be any reception at all. There are a lot of aspects that are questionable like the how far the TV broadcast transmitter is, the direction the RV antenna faces, the RV antenna power you buy, where it is placed, and the terrain. All of these add to up in making it difficult to recommend any RV antenna. If you are able to figure the distance and location of the TV signals, the antenna’s position can be fixed. The other consideration is to make sure that the right kind of antenna you have is appropriate for the signals. The antenna can be mounted using minimal obstruction from outside and this is the best way to do it. It should be facing the towers used for broadcasting and then plug the antenna cable into the TV’s back or video switch. You can turn the RV on and use the settings menu to do a channel scan. If you find this simple enough for you, then you are ready to have an RV antenna. RV antennas are made using plastic and aluminum, and they can both snap right away, so if you are going to leave it and then go under trees, there is a chance that your antenna needs to be replaced soon. If you are not too particular with the coverage, you can get an indoor antenna that does not need to be raised or shifted down. You can easily store it if you are not using it, but controlling and positioning it is easier. The HD or high definition antennas are necessary if you want to watch HD channels. All of the antennas are HD, but if you want to save money by purchasing a used antenna for the TV, you need to make sure that the TV is an HD model. The stations give HD signals, and you need to make sure that you will not miss any of them. Antennas are mountable in different places that include the vehicle’s roof, hood channel, mirror bars, trunk and bumper. Every method has its advantages and disadvantages so the individual has to gauge these that are related to their own needs and wants. Antennas have to be mounted higher on the vehicle so they can perform on a better scale and the coil has to be above the vehicle’s roof line. If you want the antenna to perform better, ½” of the antenna should be higher than the roof life. There are two kinds of this: one needs to be mounted on the RV’s exterior and the other one is a mini device that is on a desk and then you can plug it into your laptop. Either you can keep surfing the internet this way without the need to look for a good signal. 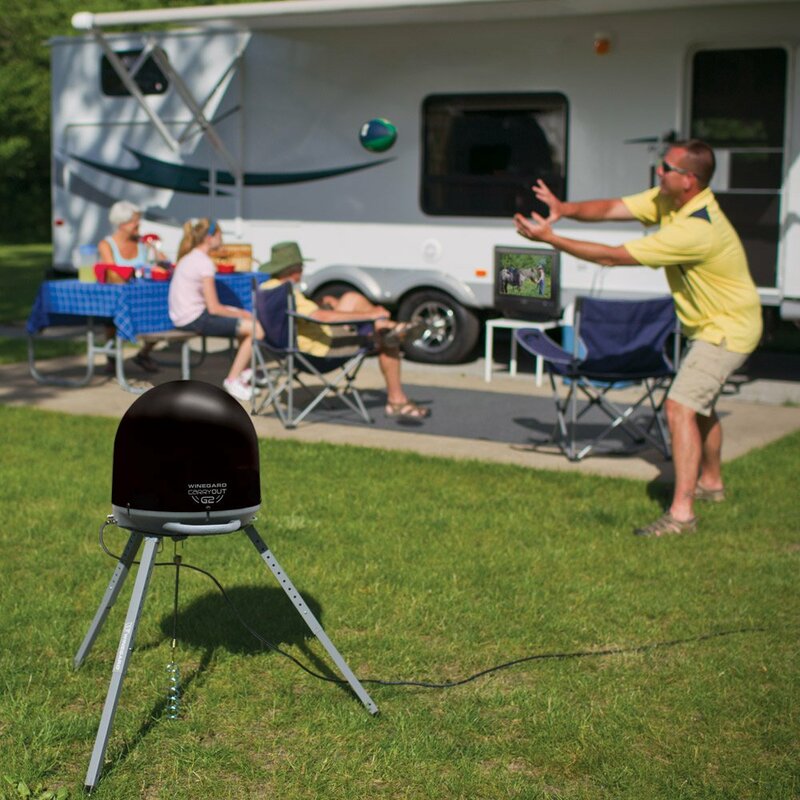 If you are working outside your RV, there is no need to get a WiFi antenna. It is a fully automatic multi-satellite TV antenna that supports all of the Direct TV HD receivers and provides reception that comes from 99 degrees, 101 degrees, and even 103 degrees for full SD and HD programming. You will have the freedom of watching programs on several TVs simultaneously and you can use it with DVRs if you want to record from different satellites. The product dimensions are 46 x 27 x 13.8 inches and the weight is 5 pounds. I think you should consider this antenna if you want to watch HD TV and have great reception. You will have programs from different satellites, which is similar to what you have at home. Only certified DISH reflectors are used so you will have the strongest signal and it is very compatible with DVRs so the best shows can be watched wherever you are. This product will receive programs for Bell TV and DISH. It will stow in 10 inches or less and it is for stationary use only. The dimensions of the product are 47.2 x 27.8 x 16.2” and the weight is 50 pounds. I would recommend this to everyone and it is a product I would buy again in the future, but that won’t be happening soon because this one will last for years. It has a power inserter with a powered coax cable which can be used to switch providers easily. The satellite providers are DISH (HD and standard), BellTV (HD and standard), DIRECTV (Standard). The easy setup is 100% automatic and setup takes only a few minutes. There are optional mounts such as roof mount, tri-pod mount, window mount or side, a ladder and rear cab mount. The product has superior construction, there is an aluminum reflector, glass infused base, and an integrated satellite tuner. The dimensions are 19.7 x 16.4 x 16.3” and the weight is 10 pounds. I think that this is going to be a good RV antenna for anyone who wants to watch with uninterrupted reception. You can buy this product to upgrade the current antenna you have at a lower price and it is very easy to install. There is also an Amplified Sensar head for replacement and can easily be installed. The product dimensions are 47.6 x 15.6 x 2.7” and the weight is 1.5 pounds. it is optimized for the current DTV spectrum and it is able to combine the powerful Sensar III and UHF booster for the best reception that covers as far as 55 miles. Your local programs will come on in HD or standard quality without any issues. If you want to upgrade your antenna at a lower price, you need to get this one and the reception is awesome. 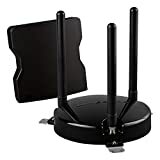 The purpose of the Sleek HDTV antenna is to change the old one over the air and the wide reception range makes it simpler to find the signal and then scan it to see the available channels. This is digitally designed to have a better reception of UHF signals and the compact design is about 70% smaller compared to the traditional TV antennas. You can easily install it in a few minutes, without using special tools, and it is for your TV or home. The product dimensions are 17 x 13.9 x 2.9” and the weight is 3.3 pounds. Before buying an antenna, look at what you need to consider so you will not end up wasting money and be disappointed in the long run. Pick from the products listed above and you will not regret anything.